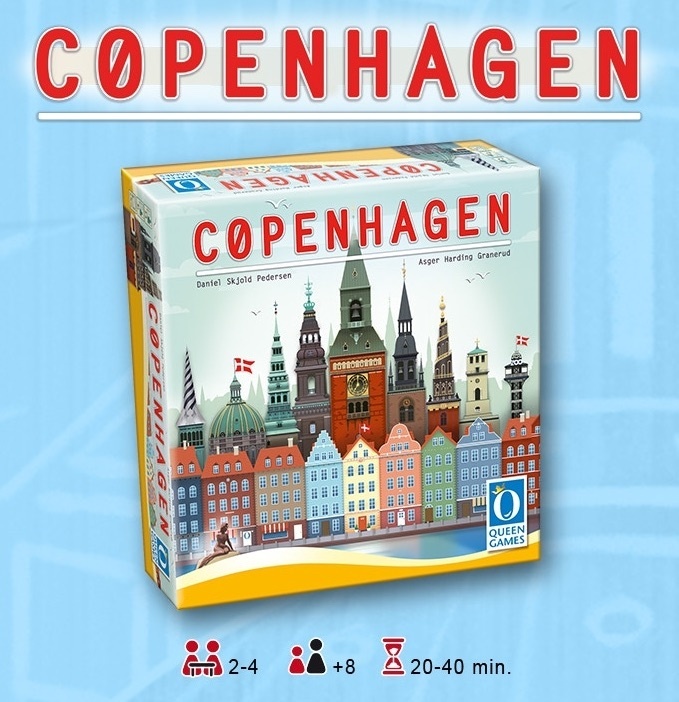 Seated on the coast of Zealand, Cøpenhagen, the picturesque capital of Denmark, is divided into neighborhoods by a crisscrossing of harbors and canals. 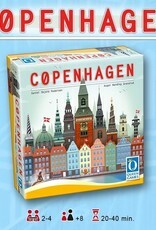 One of the neighborhoods, "Nyhavn" (New Harbor), is famous for is colorful gabled houses perched along the waterfront. 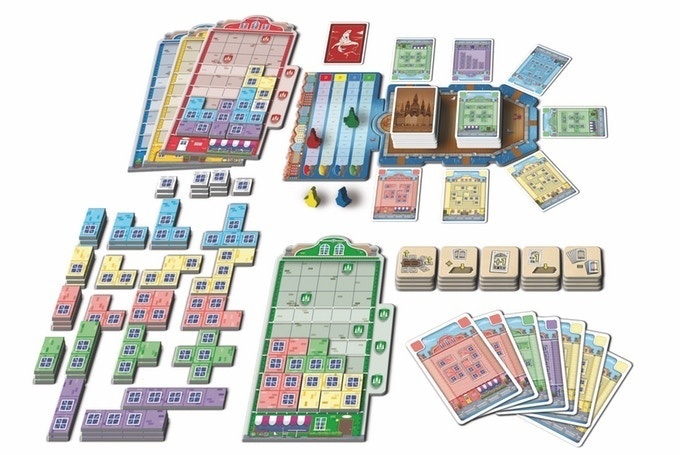 In Cøpenhagen, players are architects striving to build the most impressive new facades by purchasing different shaped tiles and piecing them into rows and columns. 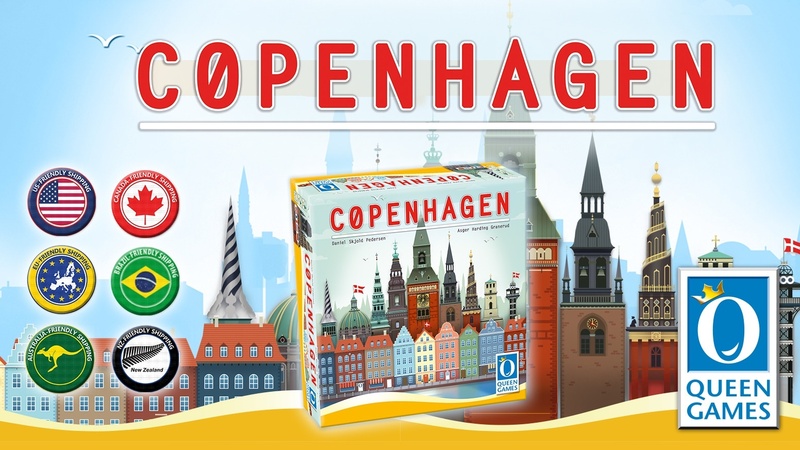 Cøpenhagen is a mixture of a rummy style card collection game and tetris. 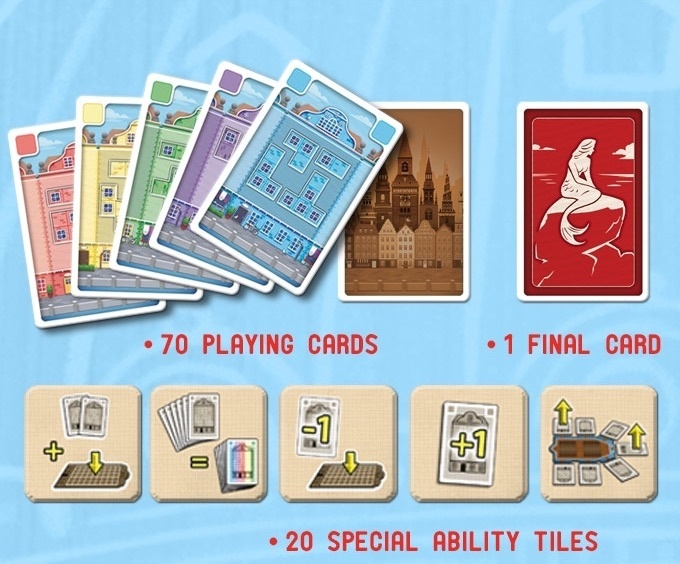 On your turn, you will either take two adjacent cards from the card display, or use the cards you have collected to purchase facade tiles of different shapes and place them on your house. 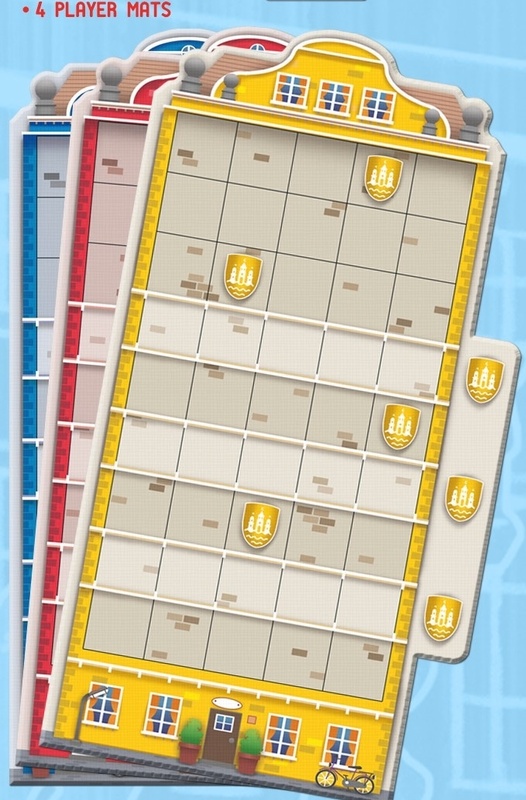 There are discounts for placing like colors together, and special abilities can be earned by covering certain spaces or rows. 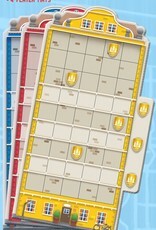 Players gain points by finishing rows and columns, and the first to 12 points wins the game. 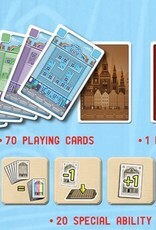 More gameplay info can be found below. 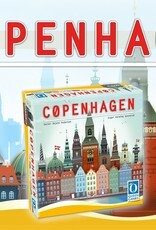 Here we are offering the Deluxe Box of Cøpenhagen with Acrylic tiles. 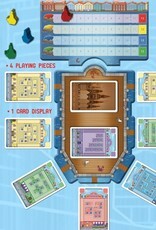 We have designed laser cut (3mm) double sided Acrylic tiles for the game that will be included in this Deluxe edition. 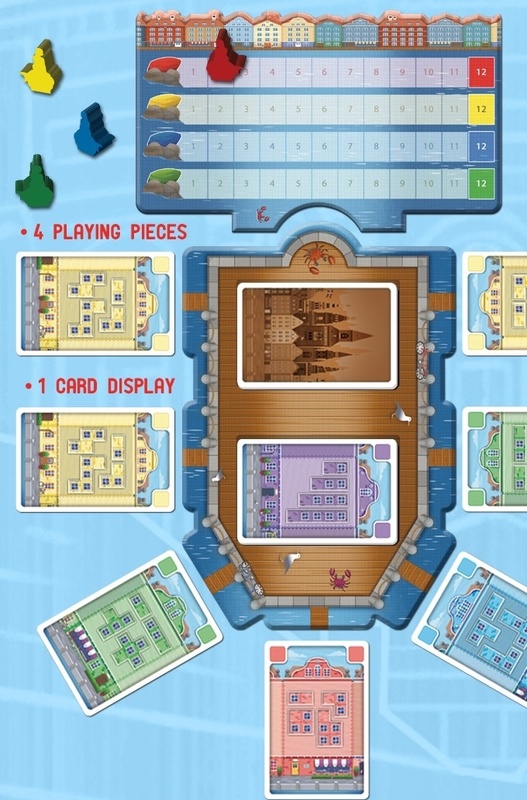 These tiles have a very nice feel to them, but best of all, they have transparent windows. It is very difficult to communicate how great these tiles look in pictures, but we have done our best. 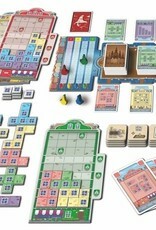 All games are language independent, and will include rulebooks German, English, French, Dutch, and Spanish. There is no need to select a language.